Is a Sliding Barn Door Right for Your Renovation? There are many different design ideas that you will find when you are researching design trends for your renovation. You might also be able to talk to your contractor, architect, or designer about hot designs for high-end homes right now and to see what’s new on the market. There is no shortage of information out there to help you plan your renovation and find inspiration, including sites like Pinterest and Houzz. The sliding barn door is something that you will see a lot of in modern designs, and it’s something worth checking out for your own renovation. Sliding barn door designs are as different as the people who choose them, and they come with their own collection of unique barn door hardware that allows you to customize your own door even further. You can create a focal piece in the room or just find a space-saving solution when a traditional door won’t do. The market is ripe with sliding barn door hardware that you can pick and choose from to accent your door, no matter what styles you have in mind. Rustic barn door hardware is perhaps the most popular choice, adding that country charm that the barn door is known for. However, it is not the only option available on the market today. You can find a full collection of modern, contemporary, industrial, rustic, and other styles of barn door hardware to complete your look, regardless of what styles you have in mind. Custom sliding barn door hardware and installations are a great way to show off your style and the accent of the hardware is going to give your design that special touch that makes it your own. There is no limit to what you can get when you choose to invest in a sliding barn door, so long as you take the time to check out the selection and find the best doors and hardware for your own tastes. You can even customize your barn door track to make an even bigger design impression. Sliding doors take up less floor space than swinging doors, which makes them great for spaces that are limited on floor space or room for a full-size traditional door. The sliding barn door offers a unique design feature that shows off your high-end style and increases the value of your home significantly. Modern design concepts like the sliding door are changing the way that people use their homes, getting more flexible space layout options and unique design ideas from sliding barn door hardware collections, design inspirations, and other sources. 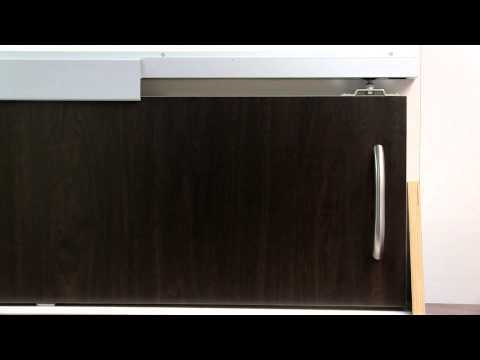 Sliding barn door hardware includes autoslide and soft-stop hardware collections, for automated sliding or to prevent slamming of the door and keep the hardware and door panel in better shape over time. There is so much to love about sliding doors in the home, and especially when you are going for a more rustic look. Make sure that you take the time to explore everything that you have to choose from and get the right look for your renovation, whether or not that includes a sliding barn door.